I am slightly obsessed with having everything organized, and throwing things out/putting them in a yard sale stash in my attic, is on my top 5 favorite things to do list. My mom also contributes to my yard sale stash every year as she's cleaning out her closets. This year, a mason jar was in her yard sale stash, so I actually went against everything I believe in, and shopped from my own yard sale loot. (I usually like to get rid of things and not look back.) There's just so many cute things to do with a mason jar these days...so I thought I'd try something out. Too bad it was kinda dark, because it really is so pretty in the room. Original Source not found, but please let me know if you can locate it! Aren't these so creative and cute?! 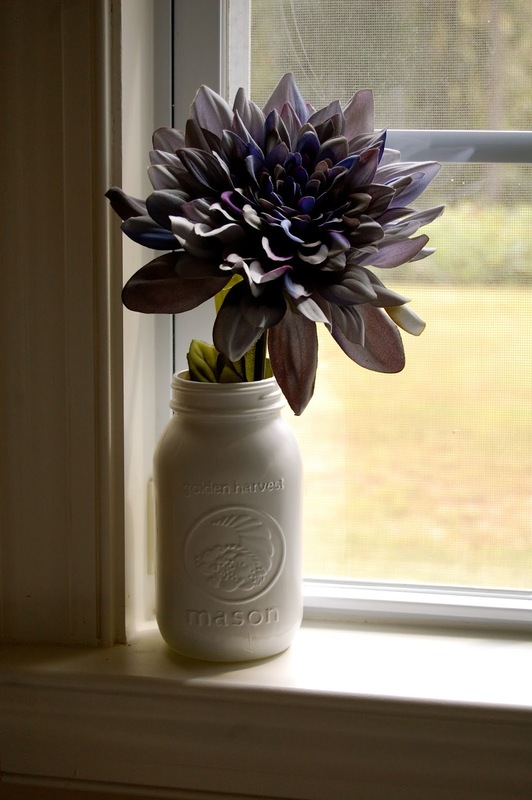 Have you tried any mason jar projects lately? Happy Friday, friends. I hope you have a fantastic weekend! I haven't used milk paint before and I'm loving this. How is the texture of the milk paint? Love these all! I don't think I could ever run out of reasons to stock up on jars :) Also, check out the book "Desserts in Jars"-- all recipes that you can make or serve in mason jars! I am not crafty at all but this is something I could handle! It came out really cute! 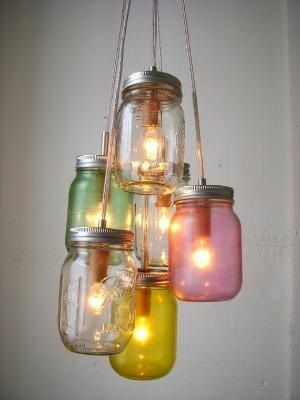 i love mason jar crafts, these are some really fantastic ideas! 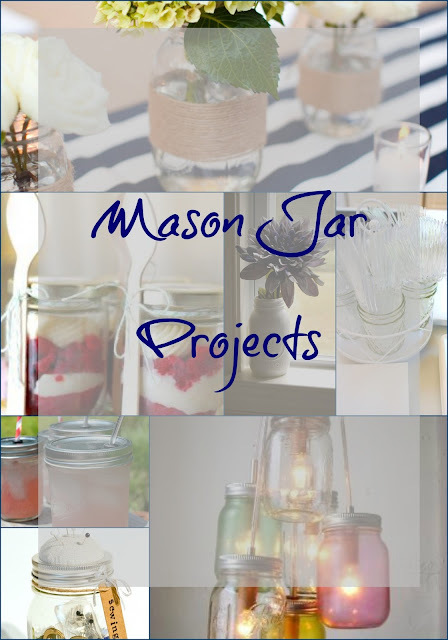 Ohmygoodness I am in love with mason jars! These options are fantastic! Oh wow! I never thought to reuse the jars but you may have just converted me into holding onto them. 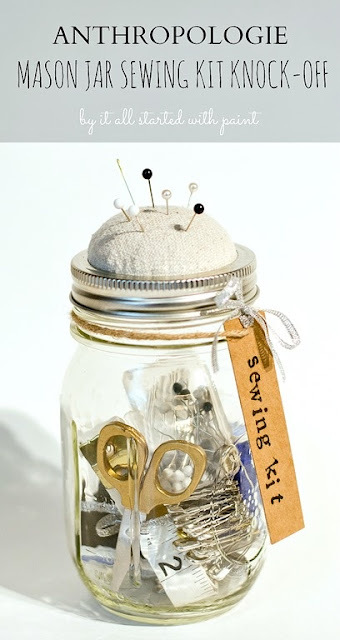 These jar makeovers are supercool! the venue for our wedding had A TON of mason jars we could use. i think my friends used them for just about everything during the reception! flowers, pen holders, drinks, everything. I'm the same way! Or they sit in my trunk and ride around until I get somewhere to donate them. Yes! My whole wedding had mason jar centerpieces. They were so easy, and cheap! I have like hundreds, now!! These are all so fun, but my faves are the glasses...we have a few at home and they make the sweet tea taste so much better!! :) Ha! 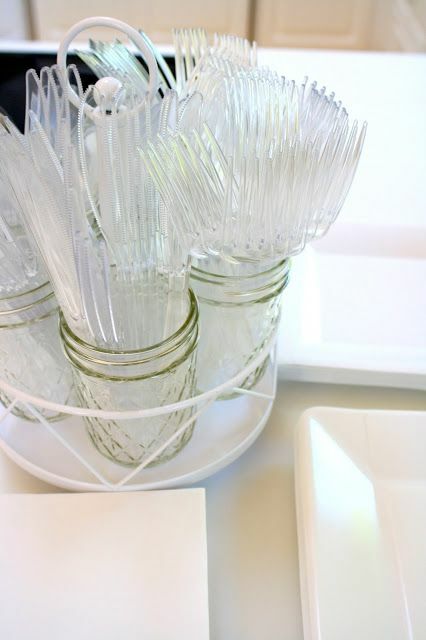 I love using mason jars to hold utensils at parties! It such an easy, cute way to display them and you can always change out ribbon or decor on them to jazz 'em up! I love mason jars! I would love to have some to use as glasses for drinking, but also like the centerpiece idea. I love Mason jars. :) I want to make a dessert in them and actually bought a book of jar desserts I need to start on ASAP! I use them as flower vases all over my apartment, but I loveeee them as centerpieces at weddings! I love the white one you did! I have also seen ones painted gold- maybe a cute thing to try for the holiday season. My mom always used them for drinking glasses! I've seen so many cute projects of mason jars on pinterest too. The flower you chose is beautiful. I've seen the cupcake before, but maybe because I haven't had (much) sugar this month I want to do that one SO BAD. It's darling. I'll just make up a bunch and hand them out to random people. Or for Halloween. I love the chandelier but I love them as a silverware holder, that is totally something I would do! 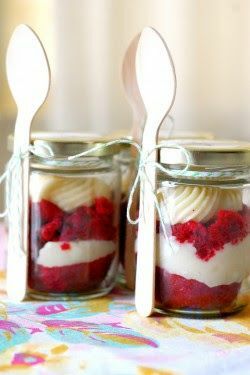 I've done the baking cakes in jars for a baby shower I was throwing at a restaurant... travels much better than a regular cake. I also do my banana bread in jars. I really want to pain a few to have a makeup brush holders or toothpaste holders. I love these projects!! drinking out of a mason jar is the best. 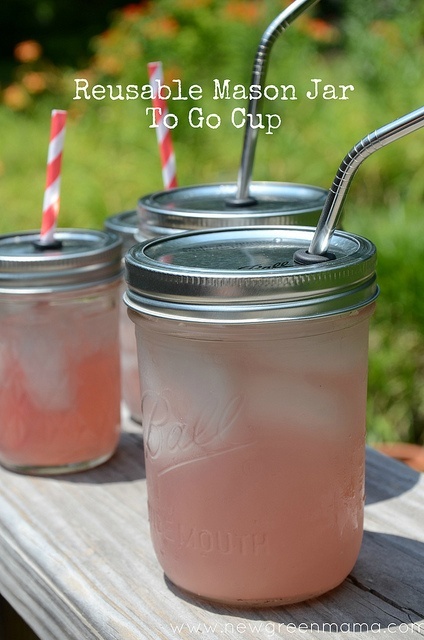 Mason jars are the new hip thing! I saw the cutest lids for mason jars that look like a flower, and then the center is space for a straw. They were perfect for a cute little party. i love the reusable cup idea! too cute! xO! 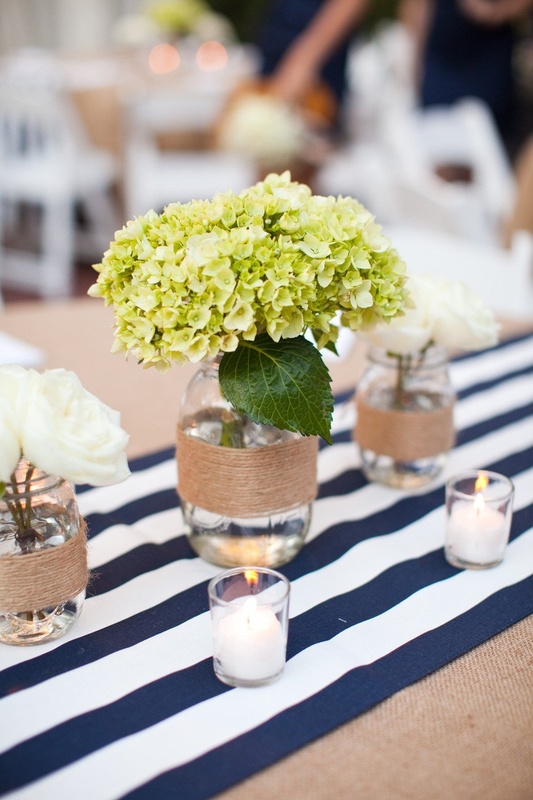 Oh my gosh I love Mason Jars to begin with but these are such awesome ideas! The chandelier! I need to try that! i love this jar decoration for wedding. Our Italian Wedding Planners ensure all your hopes of beautiful scenery, romantic ambience and the dreams of the perfect Wedding in Italy are turned into reality.